after reading the air gear manga and saw this i thought i gotta vector this, so i started at home and later put on hold due to my assignments but i finished the rest on the train and today so finally it's complete. this wall voices my feelings for the album and is meant to be a freestyle vector so dl if you like the band and show some love. You know this is my new wallpaper. What can I say? I love the simple design and the vector fo the skull is very ,very neat! how more awesome-er can we get? 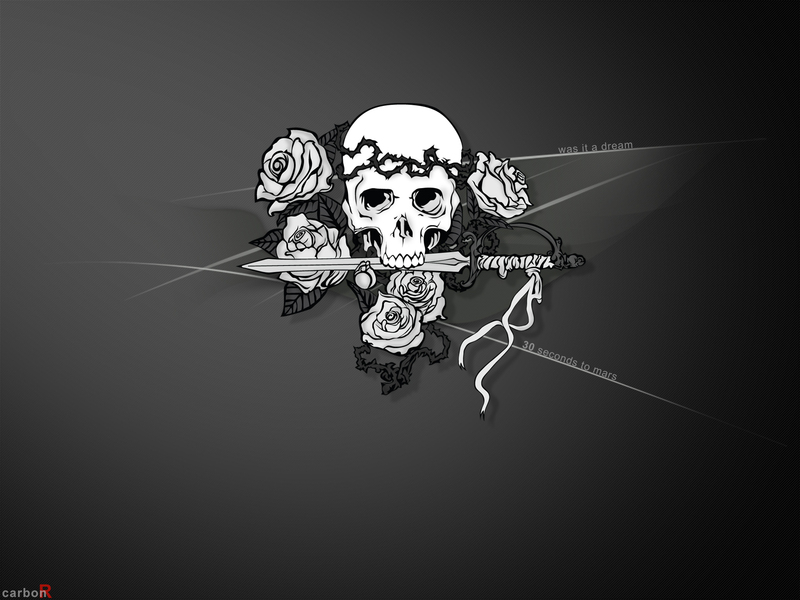 nice design, and of course nice vector, I particularly like the pattern around the skull, and love the fact that it's not a totally black background but instead is a gradient with a mix of gray tones, smooth. My treasure! I will make it desktop wallie for next brilliant work! I like this motiv, colors [monochromtic is best! ], dark dark great wallie! Very good vector, I like details.. they are so good made! Yo that pic would be awesome as a tattoo lol =} awesome job dude U rock. super! i love it. this is one of the most beautiful scan ever! thanks! hey thorn queen is that you ?